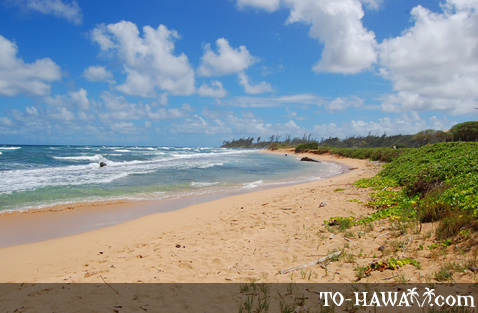 Nukoli'i Beach Park, with its 2 miles (3.2 km) of white-sand shoreline, is the longest beach on Kauai's east shore. 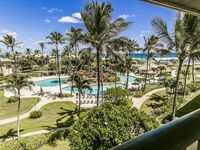 It starts from where Lydgate Beach Park ends and spans the area fronting the Wailua Golf Course and the Hilton Kauai Beach Resort. 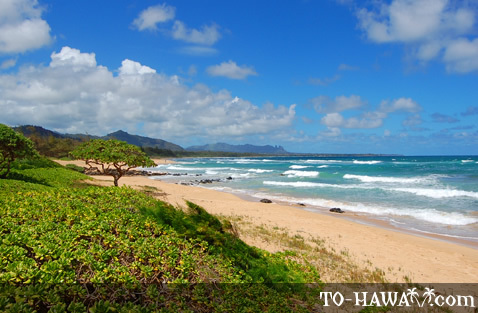 The beach provides poor swimming conditions because of surf and currents and because the bottom is rocky and shallow. However, Nukoli'i Beach offers good snorkeling, scuba diving and fishing opportunities when the ocean is calm. 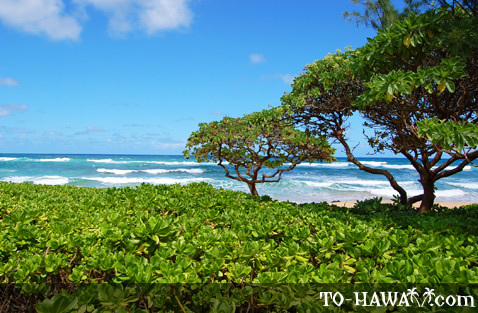 Offshore, a reef provides shelter from waves, but not during the high surf season. Always monitor surf conditions before wading in. 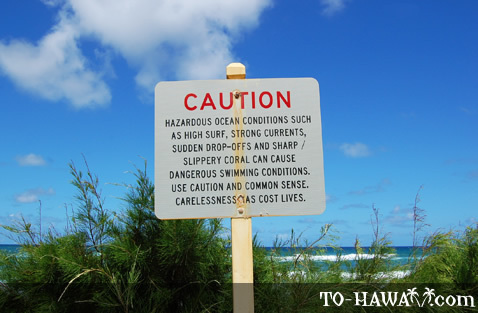 There is no lifeguard, so better stay out of the water particularly during the winter months. 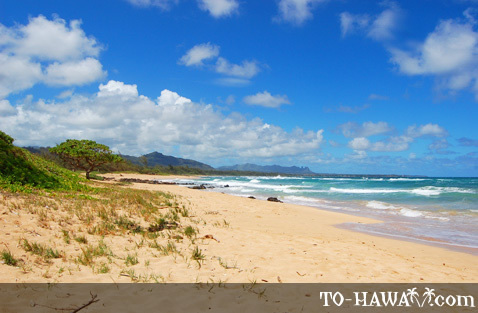 Nukoli'i Beach is sometimes referred to as Kauai Beach and sometimes as Kawailoa Beach. 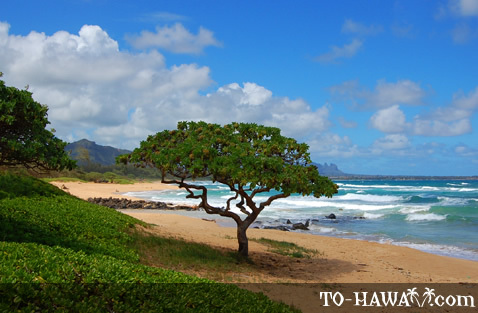 This is one of those Kauai beaches that never gets crowded. Most of the time it is rather deserted. 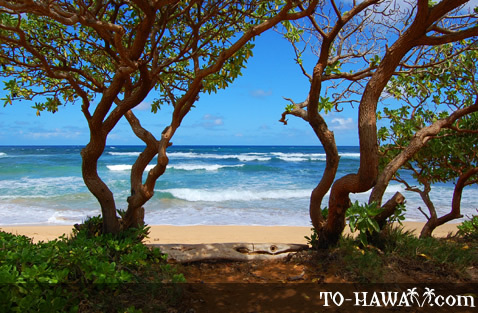 Surfers can sometimes be seen here to ride the surf break called Graveyards, while beachcombers find plenty of room and shady spots for a picnic. 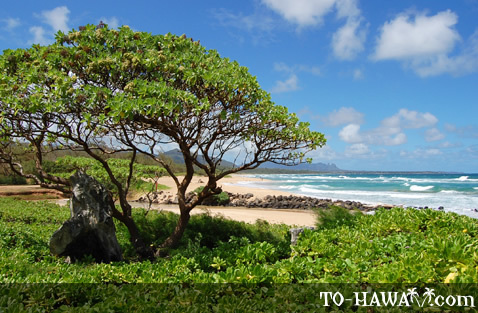 In the 1970s, Nukoli'i Beach Park was the last beach between Lihue and Kapa'a to be developed. 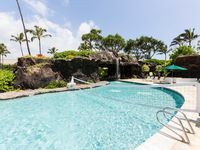 After years of controversies and political disputes between the county and Committee to Save Nukoli'i, a citizen's group, Nukoli'i was finally developed in 1986 as a beach park complete with facilities. 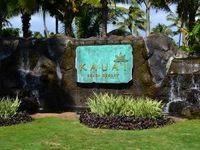 That same year, the Hilton Kauai Beach Resort fronting the beach also opened. Directions: There are three access options. 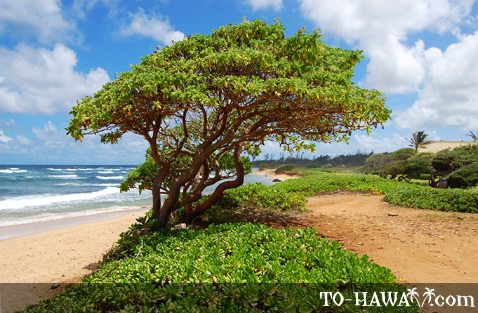 The first one is via a dirt road, which is located between the Wailua Golf Course and the Hilton Kauai Beach Resort (south of mile marker 4). 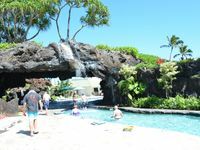 The second access is at the Hilton (the resort is located at the southern end of the beach). 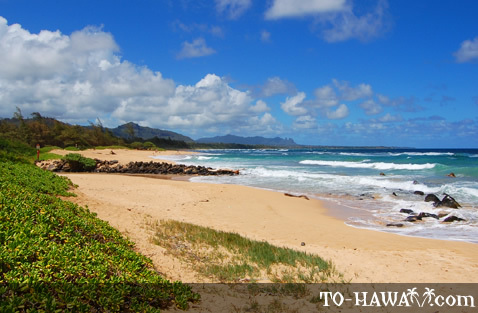 And the third access is at the end of Kauai Beach Road (which is paved). 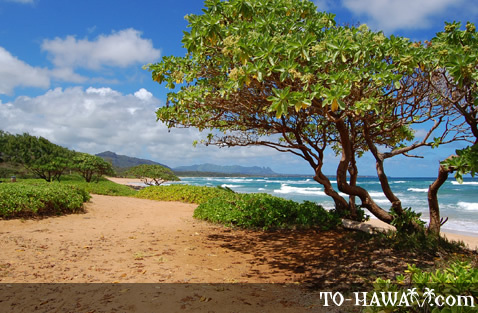 This road leads to a small beach parking lot with restrooms and picnic tables. 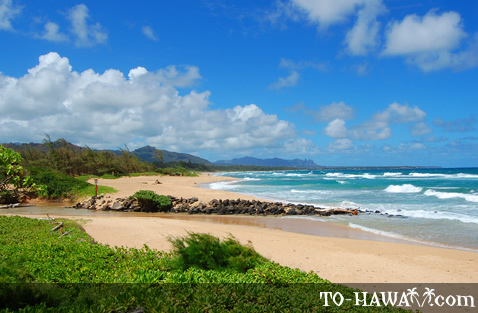 I've stayed at the condos along this beach, only the locals swim/surf there. The water is ROUGH! Beautiful place to go for a walk on the beach but no swimming, too may rocks!